"Color has been a topic of intense interest and inquiry for hundreds if not thousands of years. Philosophers (Aristotle), poets (Goethe), physicists (Newton), and mathematicians (Schrödinger) have all contributed to our understanding about color. As a generalization, color science can be defined as "the quantification of our perception of color." At the Rochester Institute of Technology, Center for Imaging Science, color research is on the cutting edge. 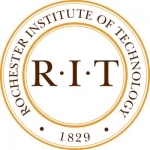 In fact RIT has the only Master of Science program in the United States that is primarily focused on color. The program takes an "interdisciplinary educational approach" to color encompassing physics, chemistry, physiology, statistics, computer science and psychology. Current research projects at RIT are in "such diverse fields as medical data visualization, computer graphics and animation, art conservation, spectral and spatial measurements of materials, color printing, digital photography, motion picture and television, and modeling of our perceptions for use in defining color quality." One featured project is all about what we look at and why. 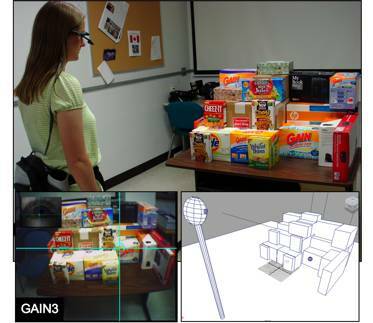 Current graduate student Susan Munn is researching eye tracking in real world environments. Eye tracking is the science of understanding what attracts our eyes, and thus our attention. She is working on a portable headset the records in 3D what the subject is looking at in a scene. The Cheez-it box's saturated red stands out but is that really the one you'd buy? What does this have to do with color? The hope is that this technology will eventually be able to unobtrusively track shoppers behaviors in environments like a supermarket. Here is a video of the research in action. Imagine you are in front of a shelf full of brightly colored and cereal boxes. All of the cereals are vying for you attention simultaneously. Each of those companies have spent time and effort to design and color their packaging for best effect. But what can science tell them about what is working? We can track what cereals people buy but now with Munn's technology we can also see what the customer is looking at. Are people buying the most eye catching cereal or do they choose based on other criteria. "Color science is used in the design and control of most man-made materials including textiles, coatings, and polymers and to specify such diverse materials as soil and wine. It is used extensively in color reproduction including digital photography, printing, desktop and projection display. As we begin the twenty first century, color science is ubiquitous." Color science is all about how we see the world around us. The RIT Color Science Masters and Ph.D programs are helping us, both humans and computers, see the world in new ways.